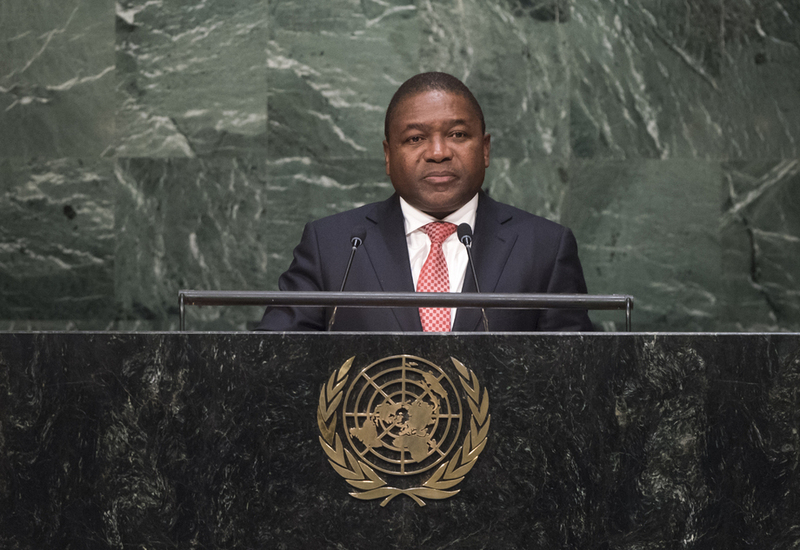 FILIPE JACINTO NYUSI, President of Mozambique, said that in commemorating 70 years of the United Nations, what was being celebrated was the establishment of an international body responsible for peace, security and development of Member States, and their mutual commitment to strengthen international law as an instrument to regulate and standardize relations among States. However, the state of prevailing conflicts presented a contrast to that inspiration. International peace and security had not been fully guaranteed; old and new challenges were emerging, inter- and intra-State conflicts were proliferating, and terrorism was growing as a serious threat. Decolonization was incomplete and obstacles to development were exacerbated by the problems of refugees and illegal migration. Those failures should be taken up as challenges requiring concerted action by the international community, he said. In the area of international peace and security, those actions should include, among others, the adoption and implementation of effective structures to prevent and manage conflicts and the conclusion of a convention against terrorism, along with an emphasis on diplomacy. Platforms should be established for dialogue among cultures and civilizations as an essential tool for promoting tolerance, the culture of peace and a dignified and peaceful world. Turning to development, he rejoiced in the adoption of the post-2015 Agenda to build on the Millennium Development Goals. Its implementation also required action: mobilization of resources; adherence to the principle of common but differentiated responsibility; respect for commitments made under international agreements; appropriate technology transfer; aid without political conditions; strengthened cooperation; as well as respect for national priorities. Further, national Governments should incorporate the Agenda into their plans, with clear definitions of indicators and targets for monitoring and evaluating progress. The Organization, he said, should not be an obstacle to its own mandate. Security Council reform was a hidden pillar for implementation of the new Development Agenda, and tangible results were needed in that regard. The shocking humanitarian crisis arising from the unprecedented flow of refugees and migrants resulted from a succession of unresolved situations, he said, urging that the underlying problems be confronted. When talking about proliferation of conflicts, political, social and economic exclusion, he said, “we are talking about poverty, injustice and hunger”, about dialogue replacing threats. He called on all leaders to redouble efforts towards sustainable solutions. On other matters, he commended developments in relations between the United States and Cuba and said that Mozambique had become party to the Convention banning anti-personnel mines. In that light, he announced that Mozambique had successfully completed its mine clearance programme.